The Daytona Beach team at Joe Horrox Law has years of experience dealing with lawsuits for auto accidents. Our attorneys are particularly attuned to the nature of accidents caused by teenagers. According to numbers from from the Florida Department of Highway Safety and Motor Vehicles, 38,347 drivers between the ages of 15 and 19 were involved in auto accidents/collisions in 2013. Of that number, 9,495 teen drivers were injured. 171 teenage drivers were involved in fatal car accidents; 57 of those teenage drivers were killed in these accidents. What causes these accidents and what can be done as a parent? Read on to learn more. When it comes to younger drivers, the use of smartphones is one of the biggest potential causes of accidents. So many young people use their smartphones, even when it is not advisable to do so. Using a phone to text or talk while driving is a source of distraction, and it makes an accident on the road far more likely. According to numbers from the National Highway Traffic Safety Administration, 18% of all fatal auto accidents in 2012 driver distraction were caused by driver distraction. Even if teens are prohibited by law from obtaining and consuming alcohol, there are a number of incidents of drunk driving by teens. Drunk driving leads to poor decision-making and impaired motor skills. The 2013 numbers from the Florida Department of Highway Safety and Motor Vehicles regarding teenage drunk driving collisions are sad. There were 653 teenage drunk driving auto accidents in 2013. (That's collisions, not counting arrests from traffic stops and sobriety checkpoints.) Of those involved in crashes, 215 teenage drunk drivers were injured and 14 were involved in fatal crashes. Alcohol is just one potential cause of reckless behavior behind the wheel. Many times teens are taken by the freedom that's afforded them by driving and wind up taking silly risks and taking chances when they should not. This includes reckless actions such as speeding, racing people on the road, and cutting people off on busy roads. These behaviors tend to be more likely in young men rather than young women, and the gender numbers carry on through the 20s, 30s, and 40s. 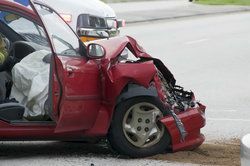 Even if a teenage driver is abiding by all rules of the road and driving responsibly, they may wind up in an auto accident of some kind due to their relative inexperience when it comes to being on the road. Not knowing what to do in an emergency situation may cause a driver to panic, for instance. It can take some time before a young driver is more comfortable on the road and competent behind the wheel. Be sure to stress caution and responsibility to your teenage son or daughter when it comes to driving. It's a privilege, not a right, and you should exercise your duty as a parent to revoke driving privileges if your son or daughter acts irresponsibly. It's not just your child's life you're looking after, it's everyone else's lives on the road. For more information about your legal rights following a serious motor vehicle collision, it's important that you contact our personal injury law firm today. At Joe Horrox Law, we will work with you to ensure that you receive just compensation for any injuries sustained and hardships you've had to experience.